One of my personal motivational mantras is that I do not have the luxury of killing time because time is killing me. The older I get the more urgency I feel about loving God and loving people and not wasting time in doing so. When I was a kid my grandfather once shared with me that it is ok to be good, but that being good is not an end in itself. “Go beyond being good,” he said “by being good for something.” My grandfather encouraged me to look for opportunities to demonstrate love and concern for others in practical ways. James offered a similar caution to the early church.”If a brother or sister is without clothing and in need of daily food,” he wrote, “and one of you says to them, ‘Go in peace, be warmed and be filled,’ and yet you do not give them what is necessary for their body, what use is that?” (James 2:15-16). The Apostle John echoed the same thought: “Little children, let us not love with word or with tongue, but in deed and truth” (1 John 3:18). Genuine compassion goes beyond having the right beliefs or saying the right words — it must be demonstrated in right and timely actions toward those in need. Construction of the girls dormitory at the Endabaguna Transition Center has started. This month we challenged the kids who attended our Vacation Bible School to make a difference in the lives of unaccompanied Eritrean refugee minors living in refugee camps in northern Ethiopia. Our kids (with some help from parents and friends) raised $14,341.92. However, the week after VBS ended the generosity of Kingsland folks continued. We received additional funds the week after VBS that raised our total offering to help Eritrean kids to $16,647.67. 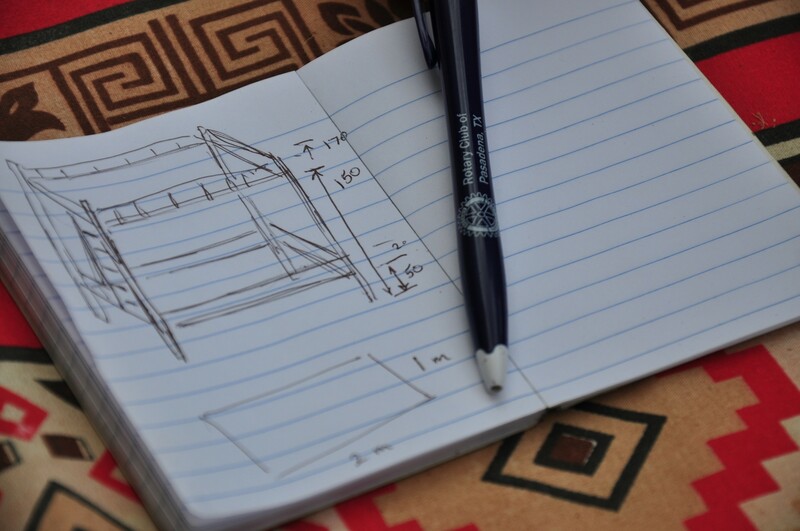 Bunk beds for the dormitory will be fabricated out of iron. I am happy to report that Dr. Jerry Squyres, founder of Innovative Humanitarian Solutions and our ministry partner, is wasting no time. Construction of the dormitory that we are helping to fund has started. Jerry expects that construction will be completed sometime in September. 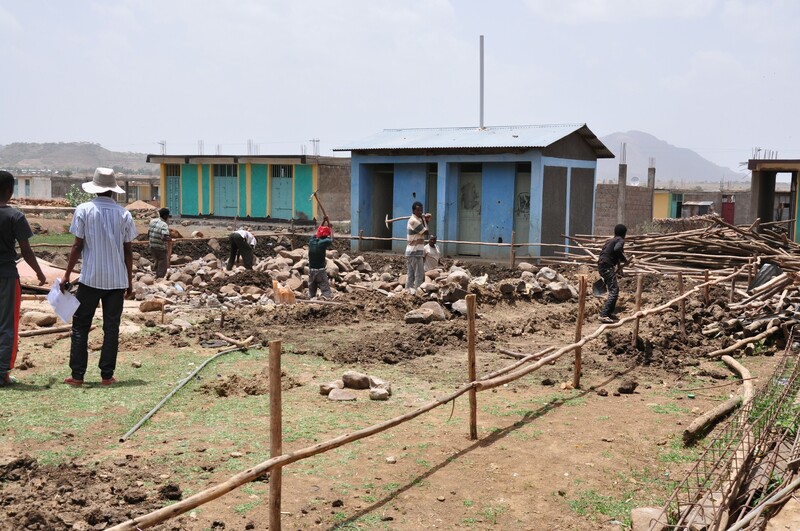 In addition to the dormitory that we are assisting with, construction has also started on a dining hall, updating the bathrooms, and fabricating iron bunk-beds. All of these initiatives will make a huge difference in the lives of kids who are starting their lives over again in a new country without parents or family members to help them. We are wasting no time because the Eritrean refugee kids need our help now! On September 8, Innovative Humanitarian Solutions is sponsoring a golf tournament to raise funds to benefit the unaccompanied Eritrean refugee minors. You can learn more about this golf tournament at the Innovative Humanitarian Solutions website. 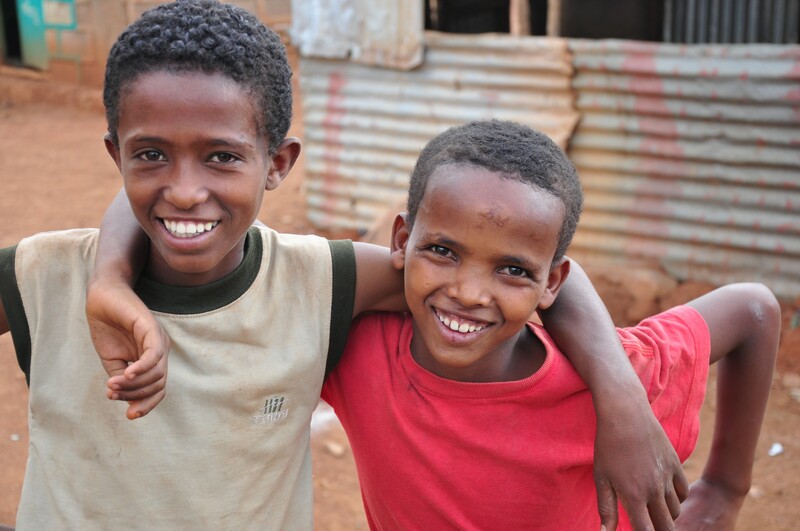 Thanks again to every child who gave so that Eritrean kids can have a safe place to live. God is using you to change the world and to bring glory to Him today. Thanks so much for your prayers, Kay. May God be glorified among the Eritreans and Ethiopians and among the nations.